Stanley is located on Stanley Avenue and its name reminds me of the famous line when the character Stanley in A Streetcar Named Desire cries out "Stella! STELLA!". Stanley is literally in the middle of nowhere. It's not near the main Mt Waverley shopping village (where one can find Son of Tucci and Curator 23 who were the pioneers who first brought cafe cred to the sleepy suburban village). It's not anywhere need a main road. It's sort of stumbling distance along the local Scotchman Creek trail but, really, it's buried deep in suburbia. 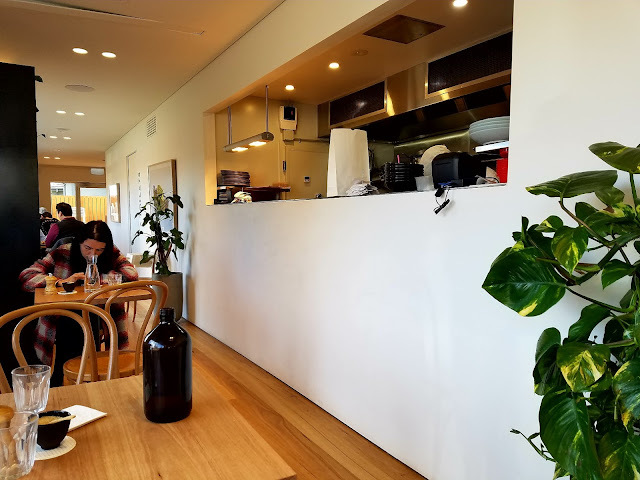 Stanley, with is pristine white exterior and smartly modern interior, is upping the cafe credentials to Mt Waverley (it's owned by the same person who runs Bentwood, Tinker and Clubhouse Malvern). Stanley is oh-so comfortably middle class with its light-filled dining space, matt gold touches and sleek wooden finishes. We visited Stanley mid-week and couldn't believe how popular the place was - young families, golden oldies, suited-up professionals, construction workers and locals popping in for a coffee to go. My first thought was, how did these people find out about this place? After all, when you come, you'll realise that it is indeed in the middle of nowhere. 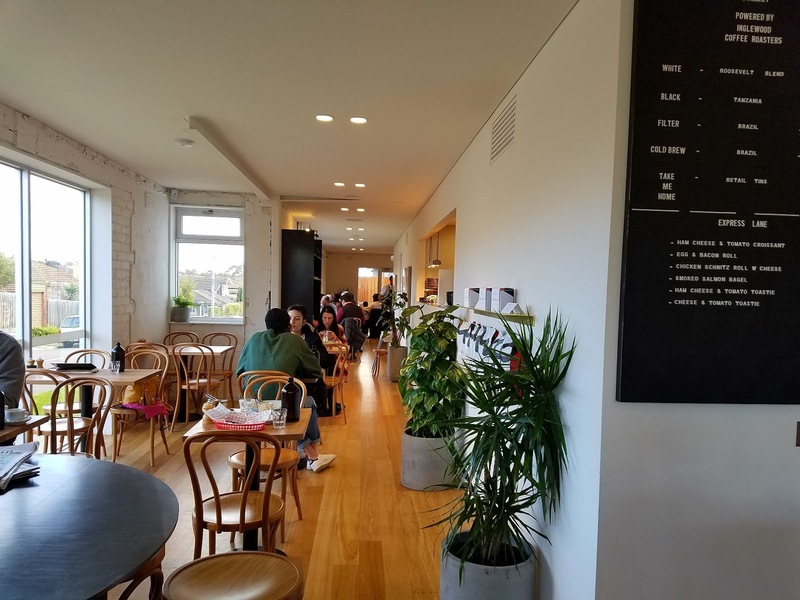 I only found out about this place after a bit of Googling for nearby cafes. 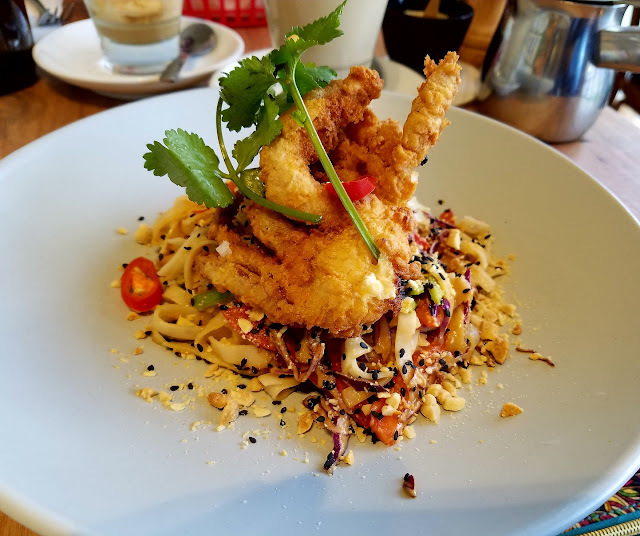 I went for the soft shell crab with Thai flat noodle salad with peanuts, capsicum, coriander, cabbage, snow peas, ginger, chilli and lime (see first pic). This was tasty but I wished it was bigger. Certainly, the dish could have done with an extra crab - it felt a bit meagre with the single solitary crab, which felt more like a garnish than the hero of the dish. 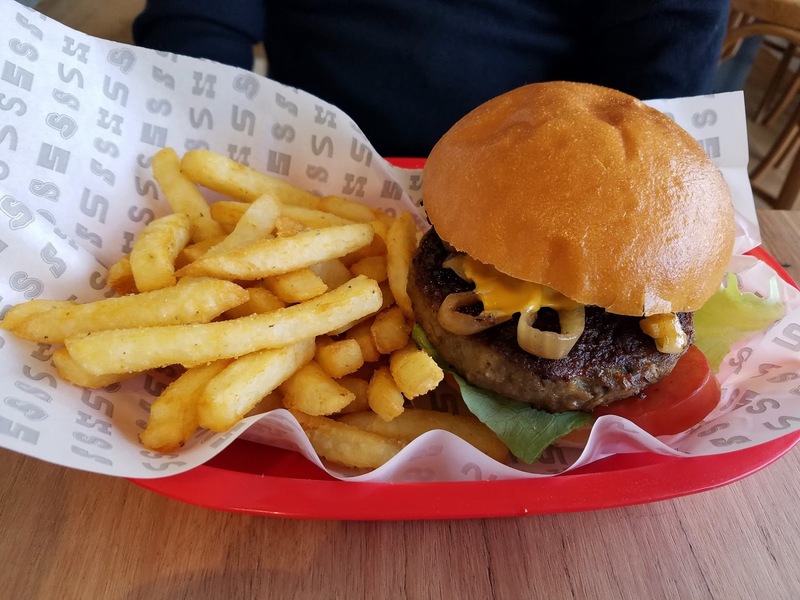 The Lawyer's burger was more substantial and also tasty. Good quality ingredients with lots of fresh salad stuff. Chips were lovely and golden. As with any decent cafe, Stanley has a range of coffees available. 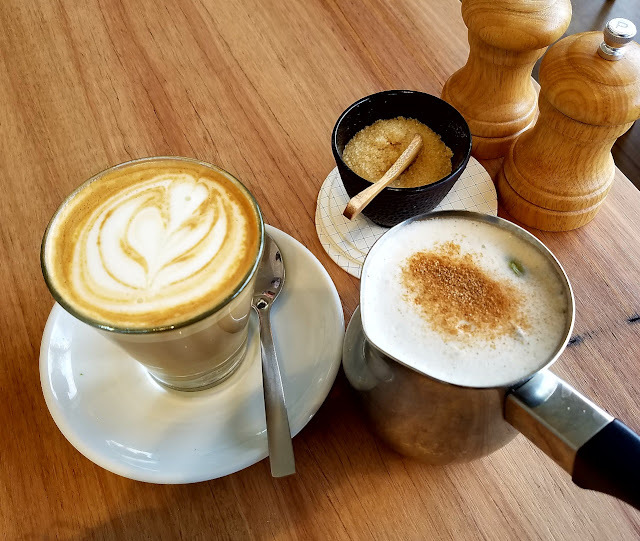 However, we just stuck to our usual of latte and soy chai latte. Stanley is a definite boon for the local area. Service is friendly and with a smile. Food is tasty and worth checking out if you're in the area. My only concern was that the background noise (the so-called 'background' music and chatter) was loud.